I think I did more this morning than just scrape my hand and fingers. My wrist is pretty sore. I think I may have strained it. I just keep reminding myself of how much fun it will be when it is time to pick out Kohler sinks and spigots. Besides, as long as I can type, that's all that matters! Even though I haven't participated in the meme, I read the Friday Feasts of all my blogging friends. I've noticed that today's dessert asked what color you would change the sky to instead of blue. The most popular color choice of my blogging friends was purple, which is just fine with me, because that is my favorite color! Well, I've seen and photographed (I can hear your shock) a purple sky, and I wanted to share it with you so you could see what your purple sky would look like. After you are done viewing the purple sky, and if you have time, I'd really appreciate it if you would stop in at Misty's Words and meet my boyfriend. He's the most gorgeous guy I've ever known, and I want to show him off! That's absolutely divine. I love skies like that. Thanks for posting - you've brightened up my very grey and overcast morning. Those are fantastic colors. Great shot. Misty, That's just absolutely breathtaking! Hope your wrist is feeling better. Your pretty purple sky is all the more impressive when I remember you hurt your wrist. Wonderful job. OMG...that is GORGEOUS!!!! I'll be online after supper, got company for supper. Gossip, I mean talk with you later. hehehe! That's incredible, Misty!!!! I just knew it would look good!...Oh wait. I picked tangerine. Dang! I used to do the Friday's Feast thing, but then I stopped. I ought to do it again, because it was pretty fun. 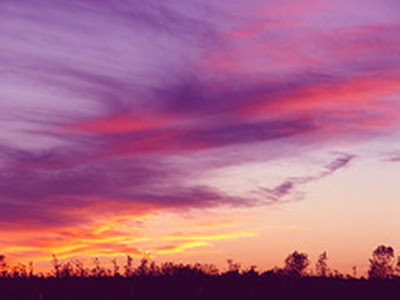 I like your purple sky. I hope your wrist doesn't turn purple. GREAT pic! I've gotten a pink sky, but not a purple one. And that's why purple skies would be my favorite, too! Just gorgeous! What a cool photo! Great job Misty! That's breathtaking! I've never seen the sky with such colors before.